Following on from a post by iCraig who now has a little'un and struggles to get time to fulfill his detailing needs, I thought I'd post up how i've been managing since the arrival of my kids and not having weekends free for pampering my car. I have a bunch of portable LED cob worklamps. Parking under my pir wall mounted security light and using these worklamps lights up my drive like a ufo landing zone allowing me to give a basic maintenance wash.
Coz its at night I don't use any noisy equipment. Just spray with a prewash using a 2 litre pump sprayer. Then 2BM wash and rinse. By using the drying aid/sealant after every wash, the surface almost feels extra lubricated during the wash stage as if washing a freshly waxed car, meaning little to no pressure needed with my wash mitt. The hardest thing to begin with was overcoming the sense of self conciouseness in case neighbours were watching. 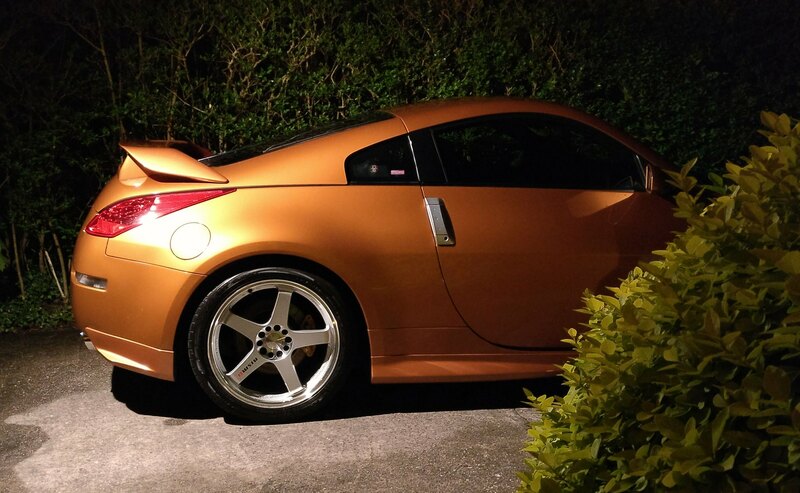 Car looks great fella, what time did you start and finish the car? Imagine walking past you after a night out as you're washing your car. Dedication to the cause. Great effort! Great idea and a lovely job. I am also keen on the lights, where did you get them from? 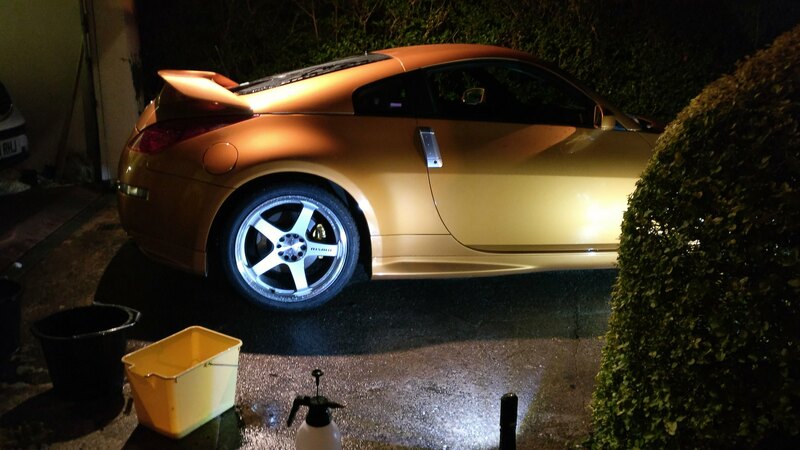 I normally start a night wash at about 9.30pm when kids are in bed. Including filling buckets in the kitchen the process takes me an hour at a leisurely pace from start to finish including packing away. 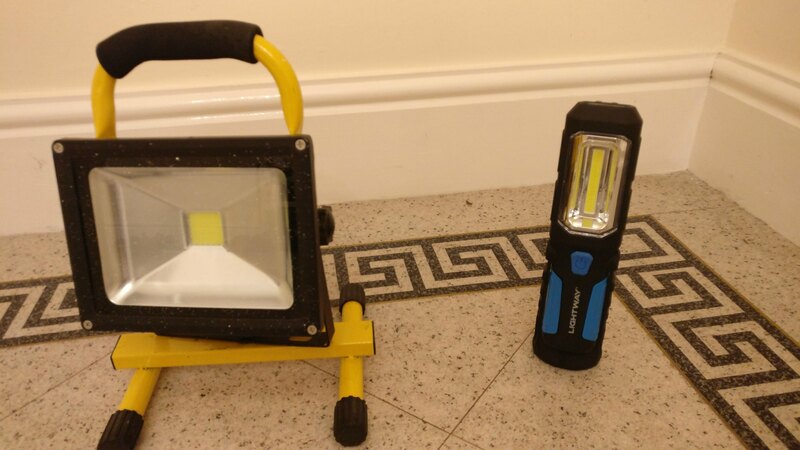 I bought the yellow rechargeable 20w led cob worklamp in 2015 from Amazon. I searched and that brand is no longer for sale but loads of similar/identical looking ones on Amazon/eBay around the £15 mark. The small ones are from Aldi and take 3 AA batteries. I think they were about £7 each.... including batteries! Again, loads of similar looking ones available online. The yellow work lights like that are also available at screwfix although I think mine is slightly bigger then that one. did you have any issues with the damper air? Not encountered any problems with using a drying aid. The surface may remain damp after the drying aid wipe down but all is well in the morning.